Each student needs to undertake a minimum of two hours of lessons per week. If you cannot make any lesson for any reason, we need to have 24 hours notice. You can let us know by informing the teacher, emailing us or phoning us. We understand that you could fall ill on the day of your lesson, therefore you are requested to notify us on the day of your lesson. Failure to inform will result in the client being charged for the lesson. If lessons paid for in advance are missed due to any reason then the lesson missed must be made up in the same week otherwise that lesson cannot be retaken. 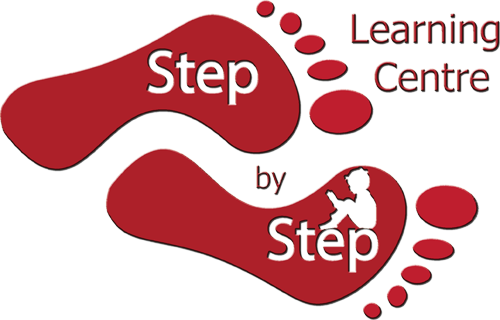 Step By Step Learning Centre accepts no liability for any personal property or injury to a person. Fees may be changed and the services offered added to or withdrawn at any time. However, fees will not be varied during a course or other service in progress. At least one week advance notice will be given by the centre. Step By Step Learning Centre reserves the right to cancel a course if it is under-subscribed. In this case a student may choose to attend another course or to receive a full refund of fees paid. Students should be aware that they are attending a Step By Step Learning Centre course to study and are expected to behave responsibly at all times. Activity which could cause disturbance to other students or centre staff will result in instant dismissal from the course. In such case no refund of fees will be made. Parents or guardians will accept full liability for any damage caused by the student to premises where courses are taught. Terms and conditions come into effect upon enrolment. In the interests of the student’s well-being whilst in the teacher’s care, the centre must be informed of any medical or other conditions affecting the student.